a digital camera to your Amiga. and transfer your pictures - that's it. AmiCamedia can be used with all Olympus digital cameras. 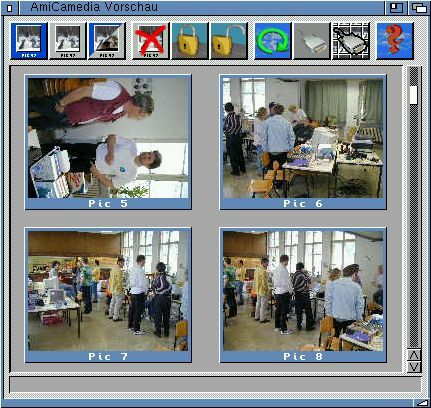 69 DM AmiCamedia is a simple to use but powerful program for downloading pictures from Olympus digital cameras. It supports cameras that use a serial connection to transfer images to the computer. AmiCamedia supports transfer speeds up to 230.400 Baud if you have a good serial IO card. named with date and time so that they appear chronologically in a drawer.